I attended the XES Signatured Launch at Quill City Mall, the main concourse. Look at the crowd of media and bloggers, everyone enjoy themselves at the event. This is "Tales of Olympus" launch, XES has also designed a wide collection of handbags suited for the fashion-conscious as well as those that celebrates the laid-back ease of the day, that relishes the courageous spirit and enjoys the unhurried people of embracing the little things. For your info XES brand prides itself for developing perfect and affordable footwear for everyday family use. XES was founded under Shellys Marketing Sdn Bhd, in 2002. XES has successfully reached all corners of peninsular Malaysia, yeah there's a XES outlet near me. XES has more than 80 outlets branched out across shopping and retail complexes including AEON, Giants, Tesco, AEON Big and various celebrated malls. There are collections of ladies', mens' and children's shoes that widely appeals to the masses for its style, comfort and value for money factor. The concept catered includes casual, semi-casual, formal and sporty. Now check out the collection's modern take on Greek-inspired style draws its inspiration from the ancient Greece and its influence from the future. Photos taken by me during the Fashion Show. Pretty Mico Pun holding XES's ladies shoe. XES Brand Ambassador Miss Mico Pun - winner of Miss XES Elegant 2014/2015 was also in attendance representing the women's spirit and silent confidence when donning the divine and modern footwear. Red handbag the model's is holding matching the XES ladies shoe. You can never go wrong with red handbag. The collection's modern take on Greek-inspired style draws its inspiration from the ancient Greece and its influence from the future. Besides fashion show, they have other pampering session at the concourse. Who wants to get their hands pampered by The Sompotan Spa. There's a makeover session at the event, look at them they are busy with the dancer's makeup. Are you eyeing for ladies shoes and men shoes? My friends like the ladies bags below, nice handbag they say. XES products are all prices inclusive of 6% GST. Here's a snap shot with lovely bloggers that attended the event. I attended the Malswisse's makeover class, above is the Aivalla foundation I used. It is medium light color which is closest color to match my skin. Click on the link to read more. 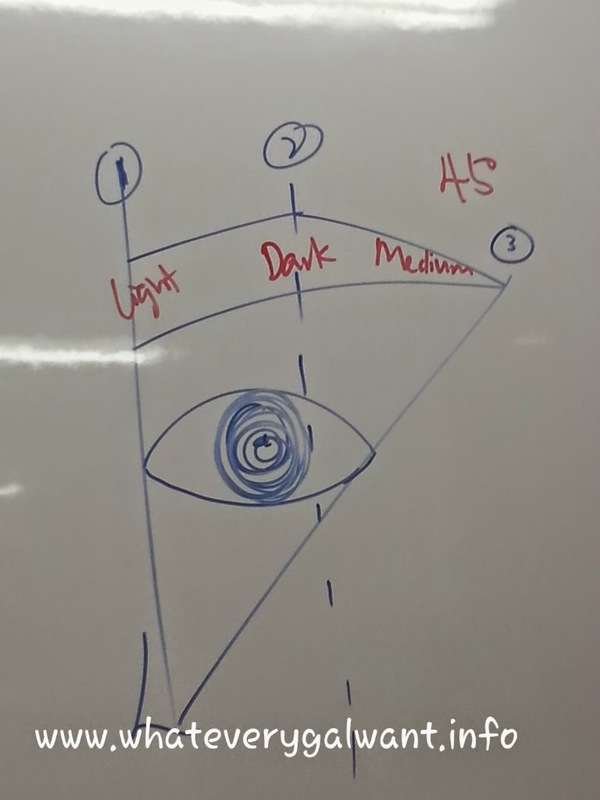 Below is the chart on how to draw the eyebrow. 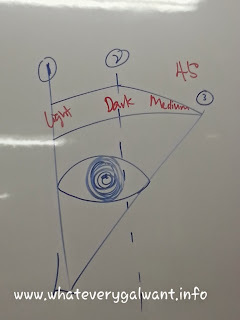 So I know now why my eyes is like that. I learn about having my brow draw higher too. Tutor Vanessa is good in explaining and she assist everyone in the class. 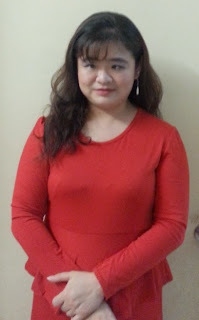 It is a fun class to learn with my friends as we can learn from scratch on how to makeup. If you are curious where I have the makeover class, click on the link above. I used XES products on the day for the event I attended. I received BIO-LIFE Astaxanthin 4mg and after consuming it for 14 days (2 weeks), today is my 15 days of consume as dietary supplement. 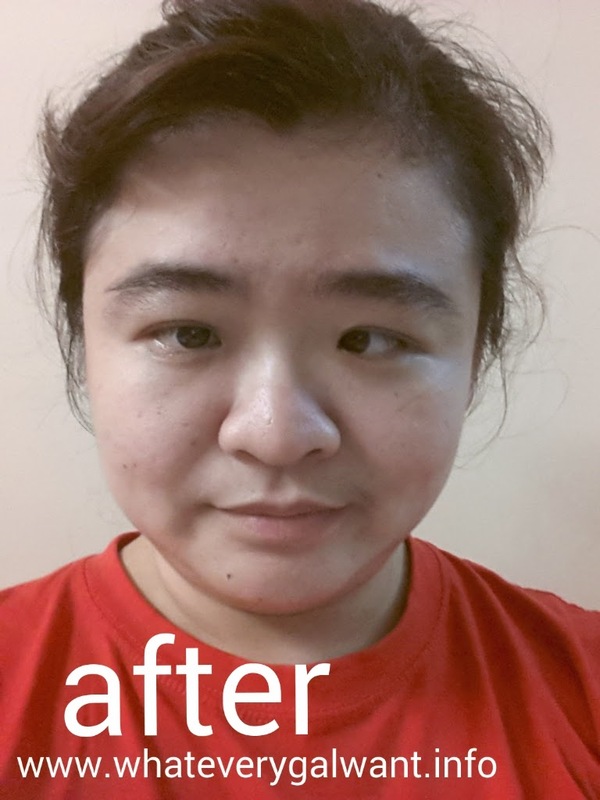 Just one a day, I usually took it in the evening after food. BiO-LiFE® Astaxanthin 4mg is a powerful anti-oxidant which studies have revealed to greatly improve skin through the reduction of wrinkles, age spots and moisture loss, while also promoting better skin elasticity. A dose of Astaxanthin a day. It promotes improvements to skin health and also reduce skin damage caused by sunlight or other sources of ultraviolet light. Astaxanthin is a natural occurring caretenoid found in nature primarily in marine organisms such as microalgae, salmon and krill. It is a the pigment that provides salmon with their pink-red color. The microalgae Haematococcus pluvialis is considered the richest source of astaxanthin. I am sure you like to know about my product review on this product. 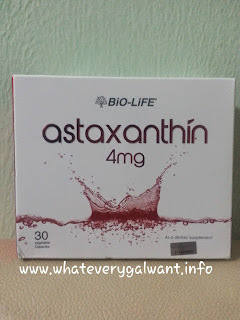 Above picture of me before I get start to consume BIO-LIFE Astaxanthin 4mg. My skin feeling dry especially in the night and my feet too. 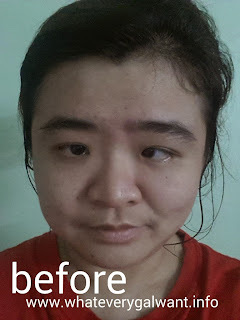 After 2 weeks of taking the Astaxanthin, once a day as dietary supplement. I can feel the difference of my skin, my skin is less feeling of moisture loss. I sleep better in the night too, I took this dietary supplement in the night after dinner or supper. If you have interest to check out the products of BIO-LIFE There's product launch on this tomorrow, don't forget to head to 1 Utama Shopping Mall, GF Centre Court (old wing). 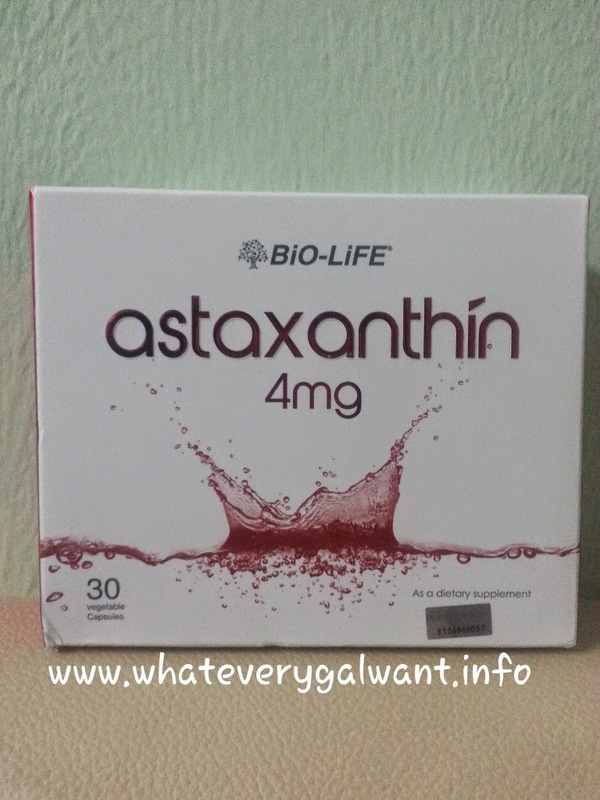 I received a box of BiO-LiFE® Astaxanthin 4mg. 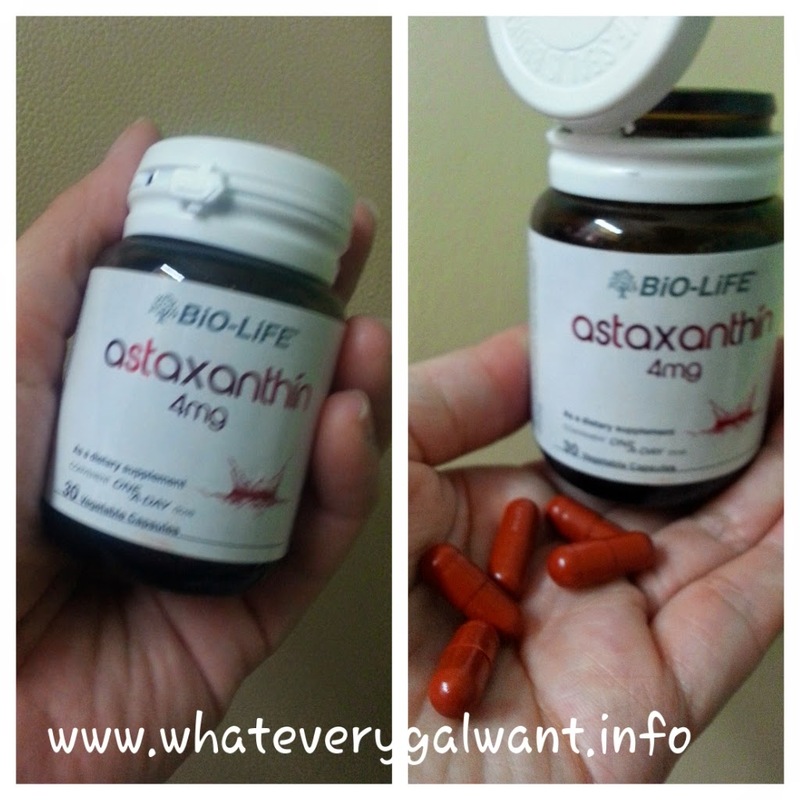 Inside a bottle of BiO-LiFE® Astaxanthin 4mg contains of 30 vegetable capsules. No added sugars, yeast, milk derivatives, wheat or corn starch, gluten, preservatives and artificial flavours. This is a dietary supplement for me, just one capsule daily with food. Stay tune for my review. Good morning everyone, how's your Saturday morning. I am heading out soon, before I do that I am going to share you a simple easy meal for everyone to eat. 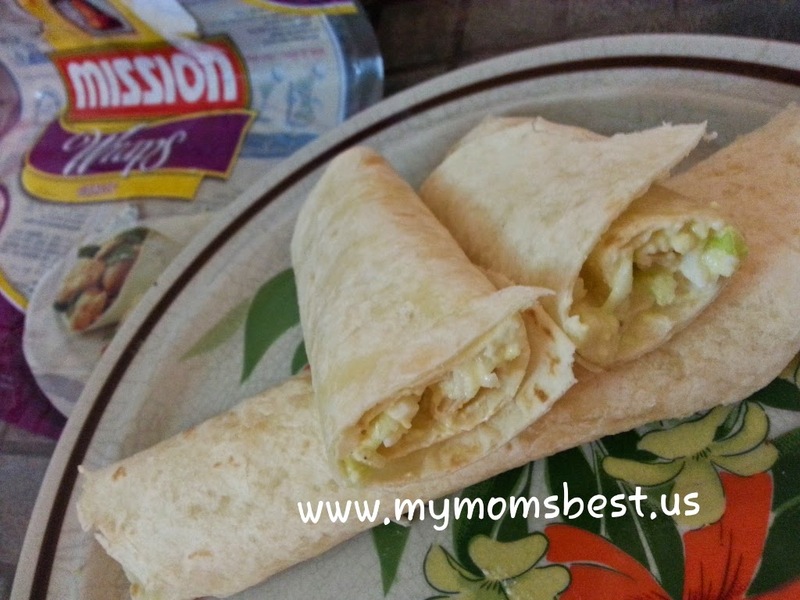 This is wrap mashed hard boiled egg with cabbage. I used two hard boiled eggs and shred cabbage, with Mission Wraps you can see in the picture above. I added some pepper and mayonnaise in mashed hard boil eggs with shred cabbage. I used microwave the wrap 20 to 30 seconds. You can try this simple meal at home, if you like to add in tomato or cucumber it is totally up to you. My sister-in-law even suggest adding tuna for this. I have done another simple wrap of peanut butter with banana, click on the link to read more.